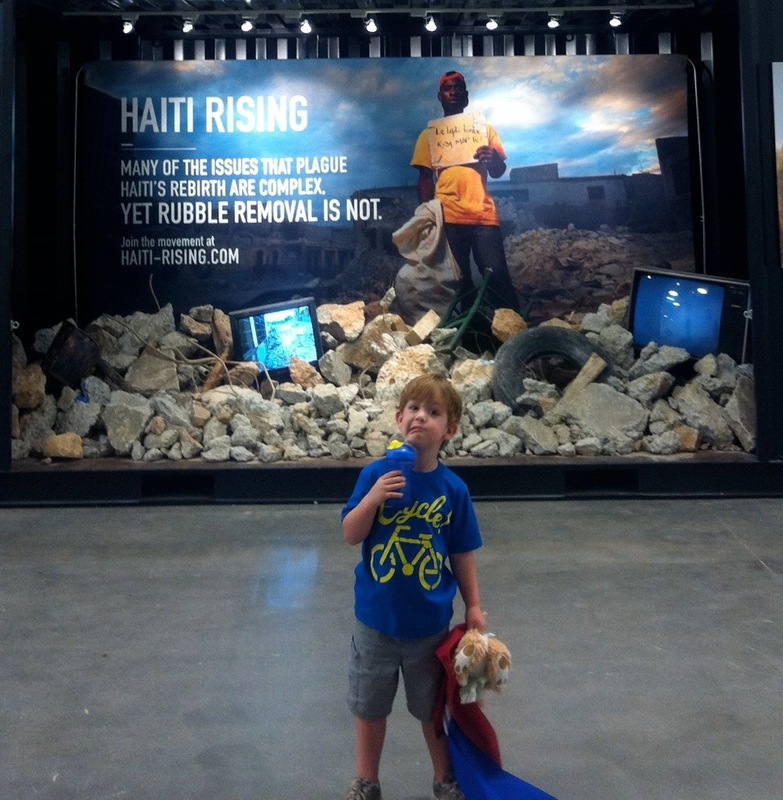 Haiti on my heart…And a call to action. It’s been well over a year since the earthquake crumbled the already unstable nation of Haiti, and since then many other natural disasters have crushed places from Japan to Joplin, MO. These disasters are heartbreaking. They stop us in our tracks. Our eyes glued to the TV screen. They shake us. They realign our perspective. And the call to action rises up in many of us with intense passion and fury. We respond. We pray. We do what we can. But then the crisis slowly fades away from the media light and our hearts and we move on. Meanwhile, the people in the eye of the storm are left to pick up the pieces. The tragedy continues for them. Daily they live with the reality that their world was crushed. Moving on is much harder for them. Rebuilding is sometimes impossible. So, Haiti has found it’s way back to my heart and the hearts of our team at Passion and Do Something Now. We are raising $7oo,000 to bring a much needed rubble removal team and equipment to Haiti. (This includes large equipment: Dump Truck, excavator, and a team of trained people) Can you believe that there is only one…only ONE team of large equipment on the entire island to move rubble!? That’s CRAZY!! No wonder rebuilding isn’t happening. You can’t rebuild until the rubble is moved. It’s that simple. In areas where they are removing the rubble they are using men to clear the rubble with their HANDS! What takes these men literally weeks and months to do, a rubble removal team with the right equipment can do it A DAY! It doesn’t seem glamorous or “cool” to send “heavy equipment” to Haiti, but it is desperately NEEDED for the nation to take steps to rebuild itself. Please join the movement and help Haiti rise again! Also, check out this incredible story in USATODAY about our friends Ernst and Therissa who are survivors of the Haiti earthquake. Ernst lost his wife and his other daughter in the earthquake but Jesus is faithfully rebuilding their lives!! USAToday did an article about them after the earthquake and it totally rocked our small team at Passion. My husband and a few folks from Passion went to Haiti to find Ernst and Theresa and offer whatever help we could. It’s amazing to see how Jesus has provided for and healed them over the past year. This story is a follow up that USAToday did. Our small church is sending a team in November. We are only raising $7000 which pales in comparison to $700,000 but if we all pull together we really will make a difference for the people of Haiti. This is also good perspective as I sit and grumble about the few leaks in my roof from a hail storm. At least we still have a roof! Sounds like a great cause–will definitely check it out and donate. Haiti has been on our hearts, too. D will be visiting in August. Love your precious family. Hope you are all well. Still want to get up to ATL and visit you and your church!